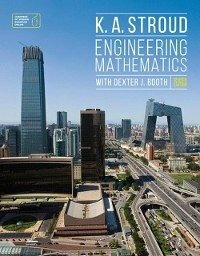 Engineering Mathematics is the best-selling introductory mathematics text for students on science and engineering degree and pre-degree courses. Sales of previous editions stand at more than half a million copies. It is suitable for classroom use and self-study. Its unique programmed approach takes students through the mathematics they need in a step-by-step fashion with a wealth of examples and exercises. The book is divided into two sections with the Foundation section starting at Level 0 of the IEng syllabus and the main section extending over all elements of a first year undergraduate course and into many second year courses. The book therefore suits a full range of abilities and levels of access. The Online Personal Tutor guides students through exercises in the same step-by-step fashion as the book, with hundreds of full workings to questions. PART I: FOUNDATION TOPICS.- Arithmetic.- Introduction to Algebra.- Expressions and Equations.- Graphs.- Linear Equations.- Polynomial Equations.- Binomials.- Partial Fractions.- Trigonometry.- Functions.- Trigonometric and Exponential Functions.- Differentiation.- Integration.- PART II.- Complex Numbers 1.- Complex Numbers 2.- Hyperbolic Functions.- Determinants.- Matrices.- Vectors.- Differentiation.- Differentiation Applications.- Tangents, Normals and Curvature.- Sequences.- Series 1.- Series 2.- Curves and Curve Fitting.- Partial Differentiation 1.- Partial Differentiation 2.- Integration 1.- Integration 2.- Reduction Formulas.- Integration Applications 1.- Integration Applications 2.- Integration Applications 3.- Approximate Integration.- Polar Coordinate Systems.- Multiple Integrals.- First-Order Differential Equations.- Second-Order Differential Equations.- Introduction to Laplace Transforms.- Statistics.- Probability.- Answers.